Even though they have big brown eyes, whitetail does are considered semi-varmints by many landowners. The guy who answered the farmhouse door hadn't shaved for a few days--not uncommon among older farmers, who sometimes only scrape off the whiskers once a week before going to church. I'd knocked on the door while my three hunting companions stayed in the pickup because of a common rule about asking permission to hunt: Don't approach a remote country house in a gang, as this can make anyone inside the house nervous. I didn't get my entire question out before the guy looked over my shoulder and said, "Yeah, you can hunt. But why didn't your friends come to the door, too? Their photos on the wall at the post office?" Over the decades much advice has been given about asking landowners for permission to hunt. Some of this advice is pretty good, but some is genuinely puzzling, and even the good advice doesn't always apply. All we can do is play the odds. I was born and raised and live in Montana, a state many hunters believe is a hunter's free playground from border to border, with flocks of upland birds and herds of big game on public land, free for the taking. 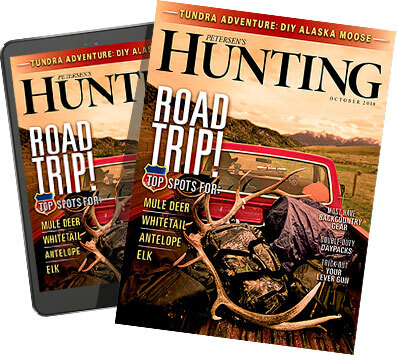 The truth is, only 40 percent of Montana is public, a lot of which is inaccessible to the average hunter either because it's blocked off by private land or so remote even a day's horseback ride barely gets you beyond the herds of other hunters. Plus, in remote country game is scarce. Animals like to eat, and eating is generally better on private land than near timberline or on some piece of Bureau of Land Management badlands where even a pronghorn would starve. I've also lived a few years in other places, including the cornfield Midwest, where hunters either have to own or lease their hunting ground or ask permission because there's almost no public land. One common piece of advice is to offer to trade your labor for hunting. In my experience this almost never works these days, mostly because fewer hunters have farm and ranch skills. Farmers and ranchers have enough problems without attempting to teach a high school history teacher how to run a 4-wheel-drive tractor, much less ride a cow horse. Most suburbanites probably don't have the time to help during corn harvest or the fall roundup--when we should be hunting anyway. Plus, because so much farm and ranch work is done by machine these days, there's less need for human workers. After high school I worked for a number of years on farms and ranches, initially fulltime, then seasonally. I know how to ride a cow horse, drive a tractor and operate a combine harvester. Only one landowner has suggested that I do any farm work on his place, and that's because he was one of the guys I worked for while in my twenties. Once in a while, he has me drive a hay truck while he loads it full of round bales with his huge tractor, but only if he's short-handed. There are, however, some techniques that up the odds of getting permission to hunt private ground -- here are tips for getting permission to hunt private land. The first is to ask the right person. This may seem obvious, but it isn't. Twice I have been given permission to hunt Montana ranches by people who acted like they owned the place but didn't. This can get you in real trouble. So find the owners. Sometimes they live on the place, and sometimes they don't. A land-ownership map, usually available at county courthouses, will provide the names. You'll have better luck on land some distance from the nearest big town. Near towns, too many people ask permission, and many country people don't totally trust city people anyway. When I first started to hunt as a teenager, my home town barely exceeded 10,000 people, and there weren't any suburban subdivisions, so hunting ground started just outside the city limits. Sometimes when we asked to hunt, the rancher would ask why we bothered. Had we seen any posted signs? These days that same town has 50,000 people, many of them living on five- to twenty-acre plots carved from the big ranches we used to hunt. Now, I really don't even bother asking. Instead I live in a town of 2,000 people more than an hour away. The farther from any sizeable town, the more likely the landowner is to say yes, often just in order to have somebody to talk to. Of course, today the hunting rights to any piece of ground might have been leased to a group of hunters or, especially in the West, to a hunting outfitter. However, many landowners who could make good money leasing their hunting still refuse to because they believe in letting the average person hunt. So keep looking until you find the right person. Sometimes it helps to be locally ignorant. For a few years in the 1980s my wife, Eileen, and I lived in a tiny town in central Montana, in the middle of a big valley that was almost entirely privately owned. We moved there late in spring and spent the summer scouting for good hunting places and asking permission. In late August (after wheat harvest was over) Eileen and I knocked on the door of an old farmhouse amid some of the best whitetail and pheasant cover in the valley. For a while it appeared nobody was home, then I heard soft, slow footsteps, and a very old man eventually made his way to the door and opened it. I knew his name (from the mailbox and the phone book) and politely called him Mr. Holmgren, introducing Eileen and myself. Actually, I had to repeat my introduction three times because Mr. Holmgren couldn't hear very well. Then I asked if we could hunt on his place. "What do you want to hunt? Deer? Shoot all the dang deer you want. They eat my winter wheat and crap all over my haystacks. Shoot 'em!" So we did. It turned out we had exclusive permission to hunt Holmgren's because everybody else was scared of the old man and didn't dare ask. He always treated us great, however, maybe because of Eileen. Despite that success, it's often better to ask to hunt something less desirable, such as varmints. Most ranchers carry a rifle in the pickup to shoot "varmints of opportunity," but they rarely have the time to actually thin out the population. A good time to ask is not too long after deer season ends, which means you might get to hunt coyotes in winter or burrowing rodents such as prairie dogs or woodchucks in spring. Many farmers and ranchers are eager to have their varmints thinned out, and if you prove reliable, they'll extend the privilege to gamebirds or big game. I still have permission to hunt one ranch almost thirty years after meeting the owner because I managed to hunt down some coyotes that were causing him problems. Both Eileen and I also hunted deer and elk for years on a farm where we kept the rockchucks and ground squirrels thinned out. Plus, as Mr. Holmgren demonstrated, many landowners regard deer as varmints these days. We all like to hunt big bucks, but one way to endear yourself to many landowners is to ask to hunt does. As a matter of fact, I met another landowner after already hunting does on another ranch. I was filling my pickup's tank at a gas station when a guy pulled up to the pump on the opposite side. He was obviously a rancher visiting town because he drove a big old Cadillac and wore a new baseball cap from a well-known ranching store in Sheridan, Wyoming. He nodded a hello as he started pumping gas. The bed of my pickup was full of deer, mostly covered with a blue tarp, though a leg had escaped here and there. The guy looked at them for a while, then asked, "Any of those deer have antlers?" "Not a darn one," I said. He grinned. "All right. You looking for anyplace else to hunt does?" Eileen and I had already filled our doe tags that fall, but took him up the following season. Now he doesn't mind if we shoot a buck, too. It also supposedly helps to be presentable when meeting landowners. You certainly don't want to look like your photo belongs on the post office wall, but looking too neat can also work against you. Brand-new hunting clothes tend to create the notion that you're also new at the game. Your vehicle can also create different impressions. You may be proud of the way your pickup handles muddy terrain, but don't show up in the ranch yard with it covered in mud. This implies you'll drive anywhere on the place, tearing up roads and pastures. Avoid controversial signs on your vehicle. A bumper sticker saying, "Will Hunt For Food" is okay because farmers and ranchers understand food. But I used to belong to a Montana organization that supposedly looked after the interests of hunters. After serving on the board of directors, I discovered most of the movers and shakers were from more urban western Montana and often worked for the government. In general, they took a dim view of ranching. They thought cows were an enemy of wild game and free enterprise the enemy of the people. Some of their public actions made ranchers so mad that arriving in a ranch yard with a membership sticker on your pickup window was automatic cause for "Not just no, but heck no." Even some vehicle licenses can cause problems. Many states have a number system that tells which county the vehicle is from. Here in Montana license plates from certain urban counties make ranchers automatically suspicious. It's better to pay a few bucks for a (non-controversial) personalized plate. When you do obtain permission to hunt, it helps to let the owner know you appreciate his generosity. If he wants to talk for a while, talk for a while. Living in the country is great but often lonely. Small gestures of appreciation are also welcome. Eileen has baked pies for some favorite landowners, and a Christmas card is often a good idea. Some ranchers also really like game from their own land, and often don't get a chance to hunt much. So share the bounty--and find out what they like. One old bachelor rancher really liked upland birds but preferred to pluck them himself. So I'd carefully gut a couple of Huns or pheasant, then present them to him at the end of the day. One of his neighbors really liked whitetail venison but not still in the skin, so we'd present a grocery sack full of frozen steaks and burger after the season was over. Asking permission is mostly a matter of being persistent and polite. Treat landowners the way you'd like to be treated, and start off with asking to hunt something they'd like you to take instead of the biggest buck on the place. Leave all gates the way you found them, and don't drive off the roads--or even on them if they're wet. Share whatever personal favors you can, whether pie or whitetail steak, and you're likely to end up with a place to hunt for a long time.